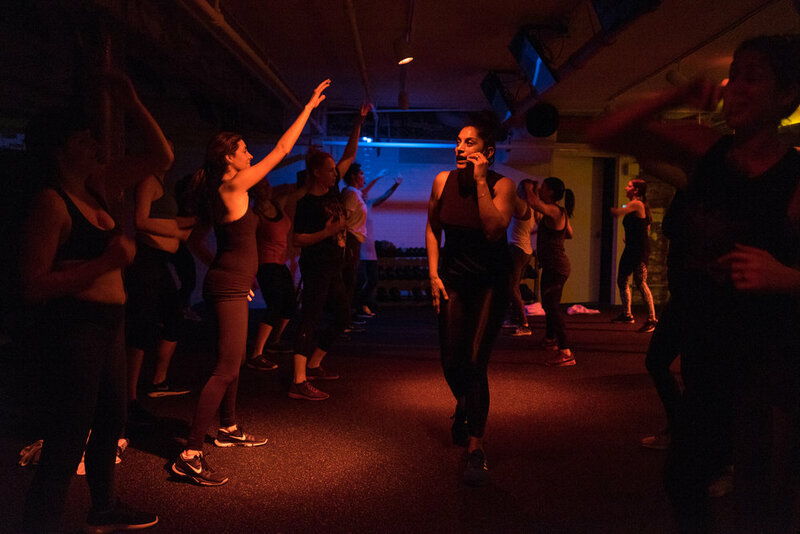 Our second urban retreat, Uplift 011, took place in Soho, New York in the comfort of a stunning, sun-drenched loft and featured experts in Vedic Meditation, Kundalini, sound meditation, Ayurvedic nutrition and fitness. The theme of the weekend, Change of Heart: How to Amplify the Power of Our Hearts, focused on increasing our connection to our hearts in order to develop more compassion for self and others. The weekend began Friday night with an intenSati class led by Patricia Moreno and held at Liftonic. Afterwards, guests mingled and replenished with elixirs from REBBL and Balance water. Saturday and Sunday were spent in the loft moving and learning from Vedic Meditation and lifestyle with Theo Burkhardt, Kundalini with Hari Kaur Khalsa, Ayurvedic nutrition with Noel Graupner and sound meditation practitioner, Sara Auster. Guests were nourished by farm-to-table food by Nahvae Frost of Eleven36 and take-home soup from Splendid Spoon for dinner.